Martha sends profuse thanks to the Ladd family for their contributions and hospitality. 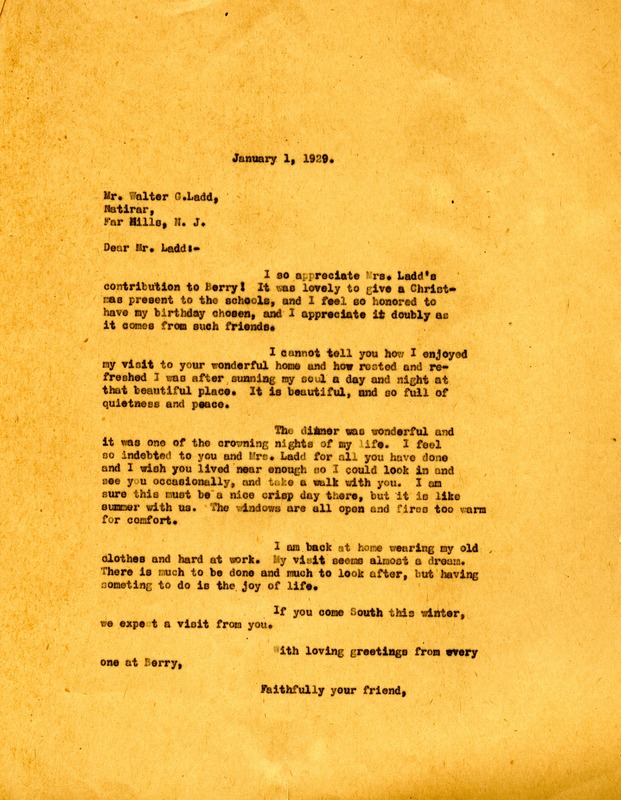 Martha Berry, “Letter from Martha Berry to Walter G. Ladd.” Martha Berry Digital Archive. Eds. Schlitz, Stephanie A., Sherre Harrington, Meg Ratliff, Angela McCavera, et al. Mount Berry: Berry College, 2012. accessed April 22, 2019, https://mbda.berry.edu/items/show/10458.